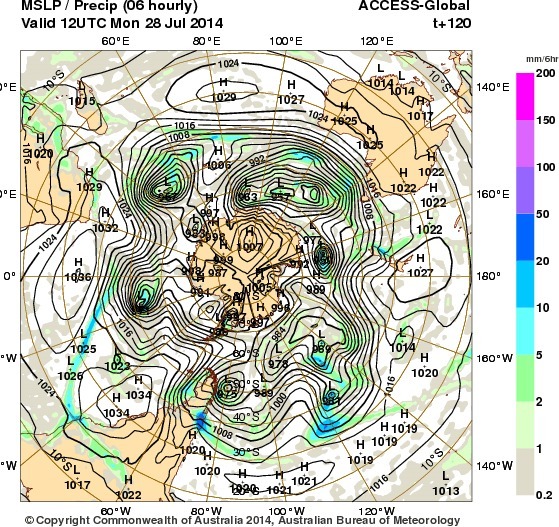 Thanks to NOAA and the SSEC in Wisconsin for the charts. one day each per chart and one years worth of charts is about the minimum I could expect to offer and get my point across with those things. The oceans get noticeably warmer in our summer. The ITCZ does more than move up and down with the seasons. Look at June, things get frantic then. 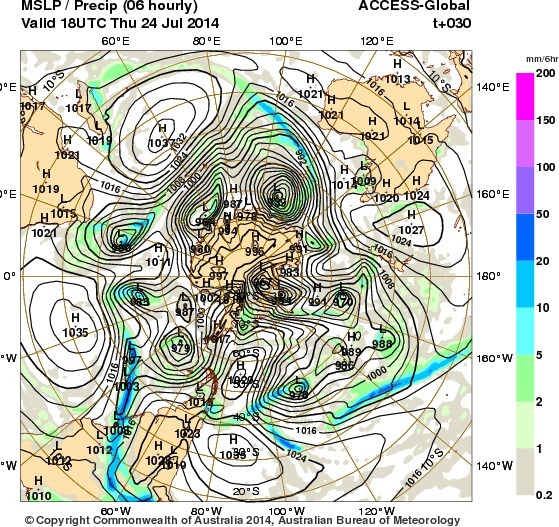 Following on from thoughts in the previous thread; weather will always take precedence in forecasts for the earth sciences until we learn how to make synoptic charts for seismic disturbances that are as good as the ones designed to forecast weather. Unless you are one of the half-baked loony leftists that swallowed, hook line and sinker, the Glowballs/propaganda designed by Margaret Thatcher’s political advisers in the 1980’s, you will readily understand that according to gas laws (propounded centuries before she decided to destroy Britain’s coal mining industry) that warmer air rises faster than cold air. Or to put it another way the hotter the atmosphere gets, the faster is sheds the heat. 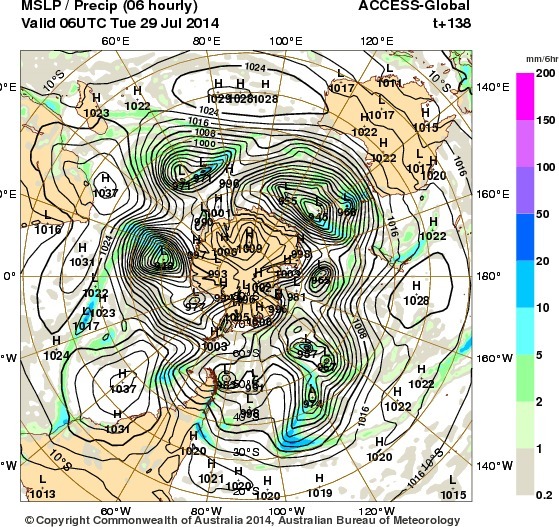 When the sea ice surrounding Antarctica grows past a certain critical point, the flow of the global conveyor changes to suit -and the ability for the region to sustain large cyclonic systems increases. 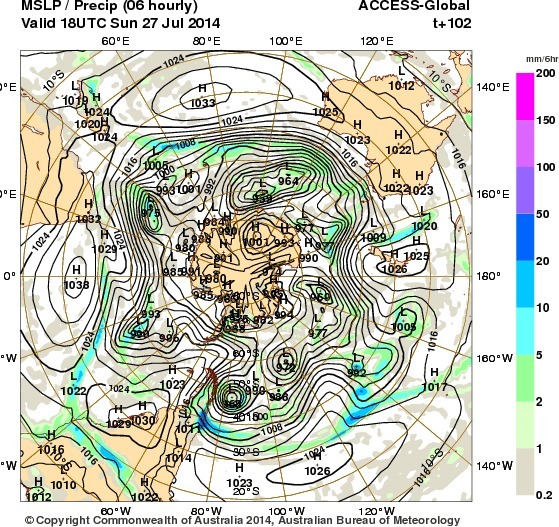 At the time of writing (27 July 2014) the extent of the Antarctic cyclones encompasses the southern tips of the three other continents in the southern hemisphere. 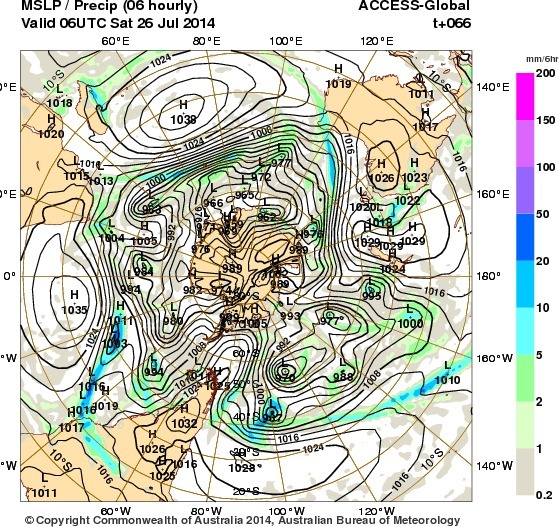 This situation stops the fluid flow of the Hadley cells across the surrounding continents. And that situation causes the Inter-tropical Convergence Zone to move north. Whatever happens, the tropics only get 12 hours of sunlight a day. In fact the cloud above the tropics is dense enough to prevent twilight from lasting long so it remains a 12 hour day out of every 24/7/52. But the further north you go. the longer the days become in the summer and the more sunlight there is to focus on the ocean surfaces in the subtropics. All the more so when the weather is anticyclonic, for such air is transparent to solar radiation. August to February in the tropics. The equator is perpendicular to sunlight almost all the year through. And as the seas are or were clean (until we dropped all our bin bags there) the sunlight doesn’t glance off but penetrates to the full 300 feet it can go before being absorbed. Coupled with the blanketing cloud at night the oceans in the tropics blend to keep the pressure of the ITCZ at 1016 millibars 24/7. 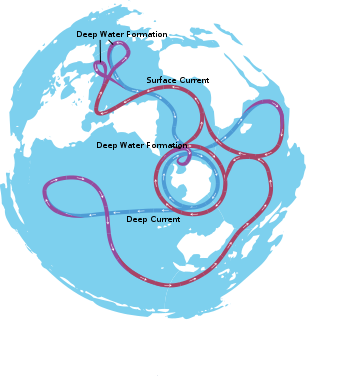 The Wikipedia states that the ocean circuit of the deep water takes 1000 years to complete. 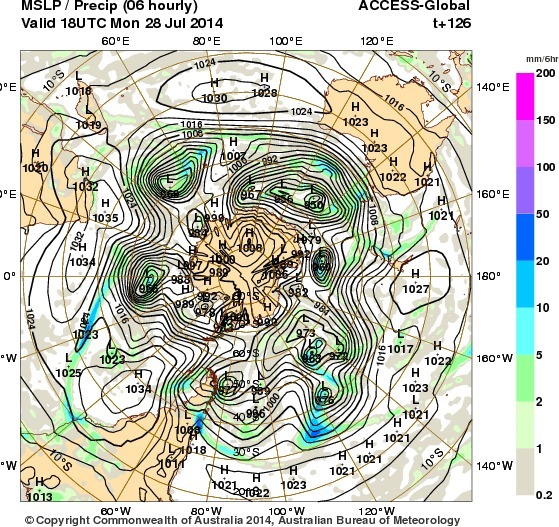 But the effect that increased cyclone diameters around the Antarctic has on distant oceans is almost immediate. 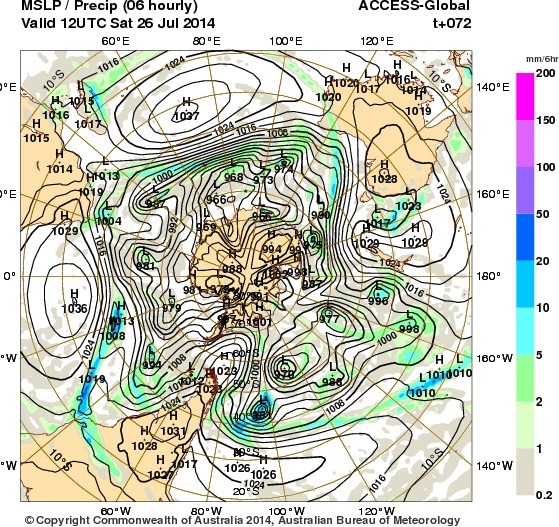 The Warm Pools move north with the ITCZ and the sea level air pressures in the mid latitudes lose definition. Here is a typical example, although it is early in the southern winter season and the ice has not grown out as far as it will by late September. Click to enlarge. Notice how an influx of tropical warm water from the Indian Ocean tips the cyclone under it so that as it flows, it expands to fill the basin of the Great Australian Bight. 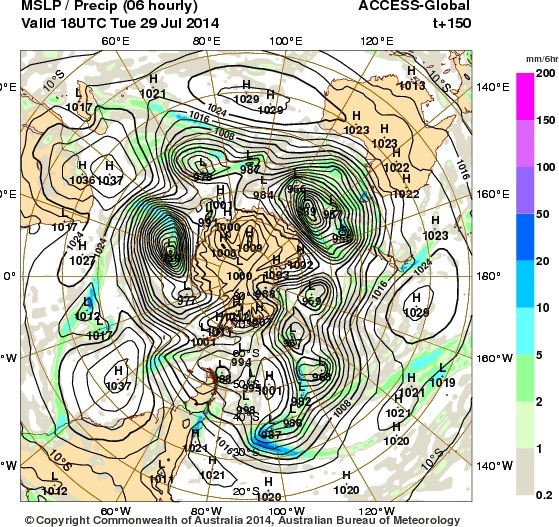 Since the gap between Cape Horn and Antarctica is so very narrow, the Pacific anticyclones approaching there are nearly always blocked from crossing oceans through the Drake Passage. They are blocked more or less the whole year through. But after that place, the channel between Antarctica and Australia is almost always the first to fill. 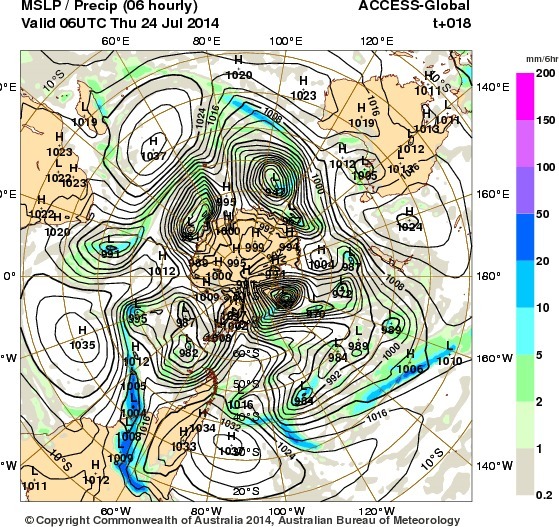 This is because the harmonics set up in its curve make it a natural resonator but also it is due to the amount of rain coming south from the equator through South America and Africa. The Congo and Venezuela have a region of more or less permanent thunderstorms. They are semi-permanent in all tropical rain forest too. There is a super-abundance of hot moist air coming south from the tropics, more or less all the time. 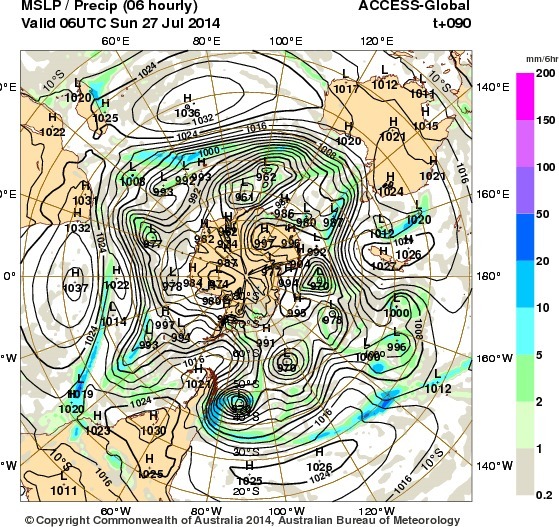 The Antarctic climate is seasonal but there isn’t much of a season near the equator. 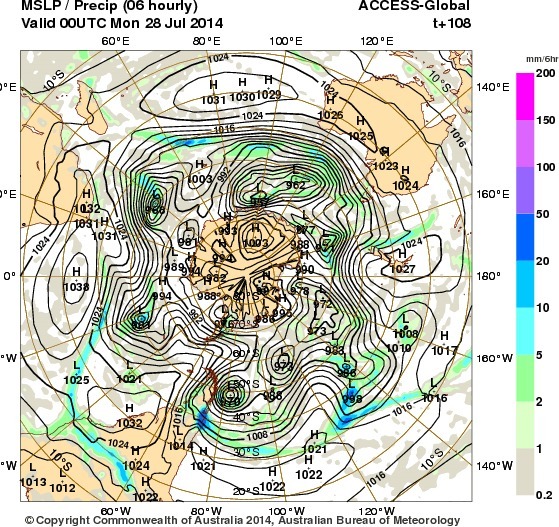 This is why the behaviour of tropical storms has to be due to the margin of ice around Antarctica. There is no other explanation for their behaviour. In northern latitudes the sun shines longer and longer every day until summer solstice in late June when the tropical storm season starts. And the decline is gradual until the ice melts from Antarctic coasts starting late in September. The tropical storm season runs until sea ice -if there is going to be any, starts to impact the climate of the North Pole. Twilight doesn’t have much effect on the earth’s surface but of course it is warming the upper atmosphere, it is sunlight after all. However none of this counts for much when there is cloud cover. And little of it has any affect on the weather nearer the equator whatever the sun or cloud. 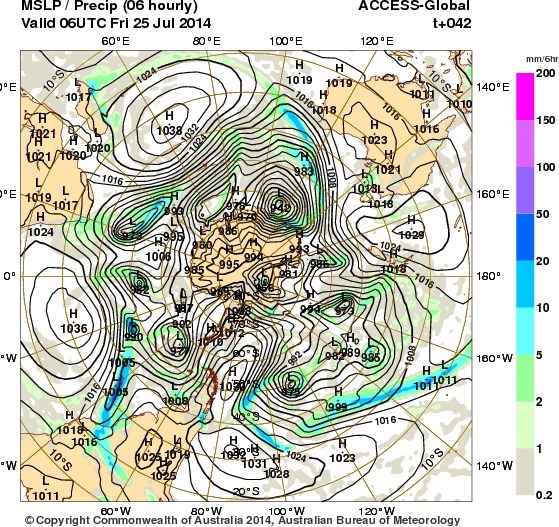 But I was talking about the present situation with larger anticyclones in the tropics and subtropics. Once the surface waters in the tropics reach the critical temperature of 29 degrees Centigrade, the region becomes liable to tropical storms. The other major factor in their development is the cross winds that can occur. These will dispose of all the heat column’s vorticity. All that took place over a period of about 3 weeks. So what exactly are they blocking? Whilst I was waiting for this event to not happen, Super Typhoon Neoguri 03-10 July, Super Typhoon Rammasun 12-19 July and Typhoon Matmo 17-23 July, had been waving at me. It took me until midnight last night (Sunday the 27th July 2014) to realise what they were trying to say. I set the animation at 0.6 seconds, thinking to get it out of the way quickly. I am sorry it is so annoying, I never checked it out. “Obviously there is a cessation in energy going into the tropical storm department of Planetary Resources. Shunted elsewhere… …and next? When I see an abrupt change in the weather, an anomaly, I imagine that something elsewhere is also changing and have developed that idea into a complex study of geomancy. I assumed, as normally happens when a complex of cyclones abruptly changes to one of anticyclones, that a large earthquake occurs. However I was beset with a variety of conflicting signals. Meanwhile in the real world we have been having exceptionally warm weather in Britain. All happening whilst both tornadoes and volcanic activity died down. So something odd is happening. Obviously the timing is off somewhat though. 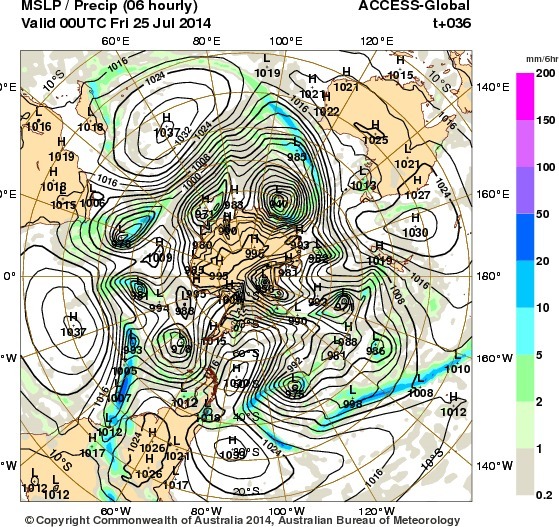 Ordinarily the cyclones hold close to the central continent in these charts. But this winter the ice has formed early and grown quite widespread allowing the cyclones to spread out to the surrounding continents as far as the subtropics. 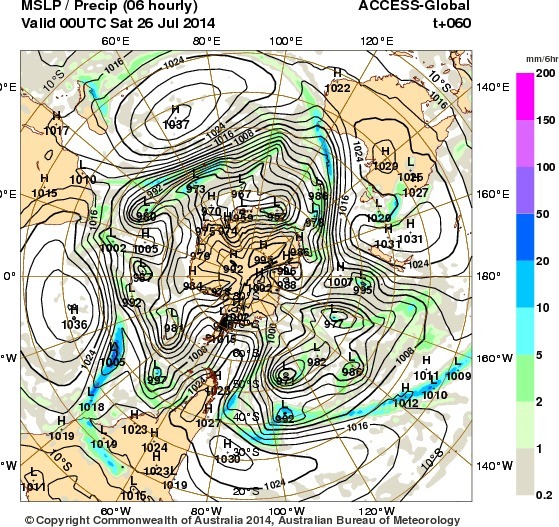 When the isobars are as compressed as they are in the first few charts, they cling to the coastline and disperse when an earthquake occurs. 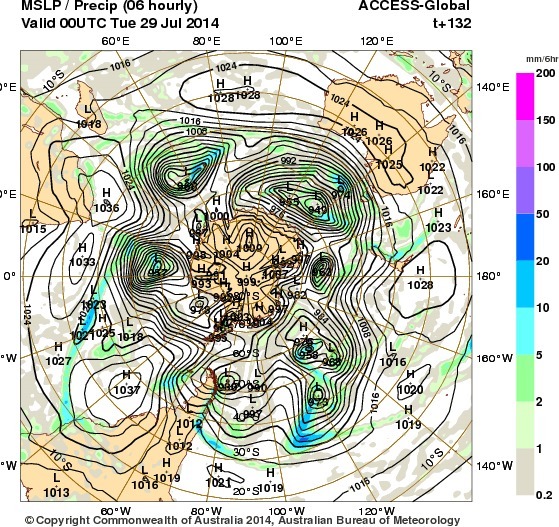 Sometimes they bounce off or break down into their component cyclones and continue to roll around Antarctica. When that happens it is a signal for some other serious event such as tornado cells or phreatic eruptions. It all starts with the blue or green ribbons coming out to the subtropical regions of the surrounding continents and from Polynesia (not on these charts.) This is water leaving America or Africa. That dark blue line (bottom left) is rain leaving South America at the River Plate. 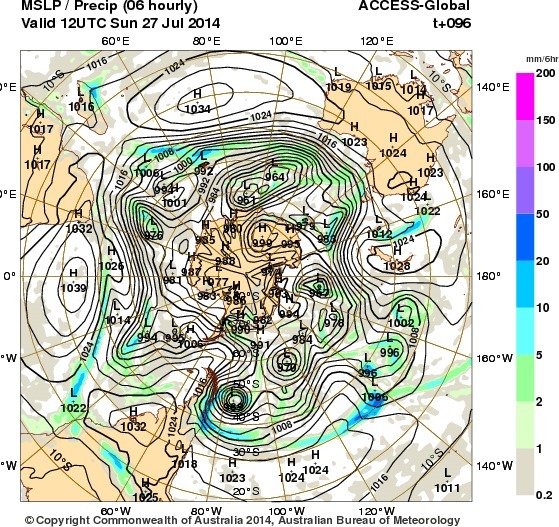 It is running south-east, between the Hadley cell and the cyclones in the Atlantic. It will dominate the cyclonic system it merges with, turning the centre black with compressed isobars. 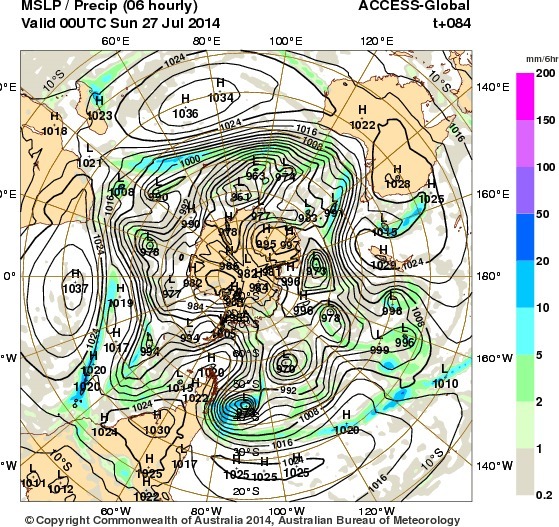 But as I said the AAO has forced the doldrums and subtropical anticyclones almost out of the picture. 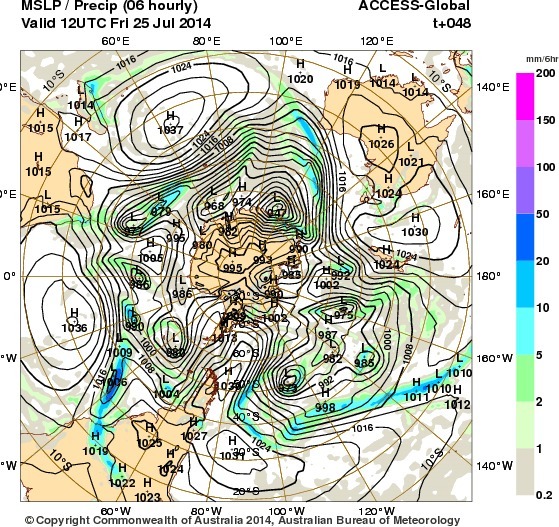 The knock on effect is that the anticyclones move further north than they normally do in our summer. Hasn’t happened yet of course but on the sixth day god rested. So we had the last 6000 years off to kill each other. 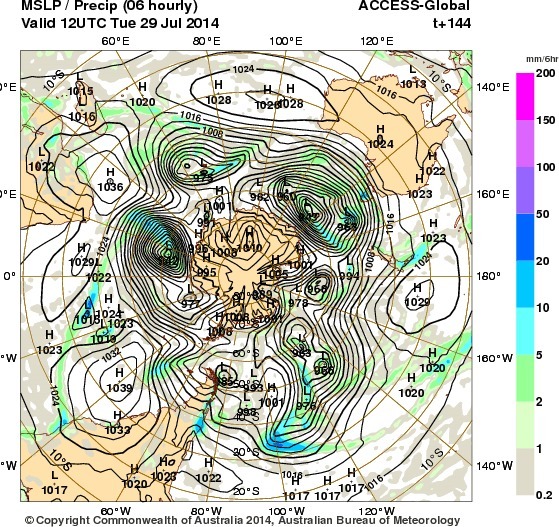 The precipitate from the River Plate will dominate the cyclonic system it merges with, turning the centre black with compressed isobars. 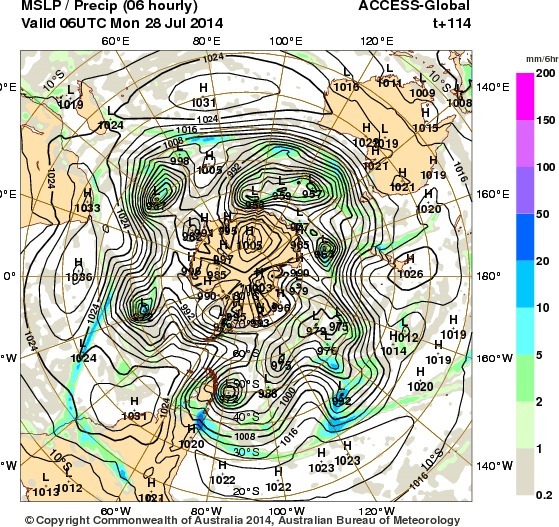 Large earthquakes take place when a significant amount of compression occurs in the isobars between Highs and Lows. According to Meteorology these Highs and Lows ought to blow each other out. Sounds more like Climatology to me. But at the same time when the contours are nicely rounded off, there is a greater chance of a super-cyclone in the tropics. 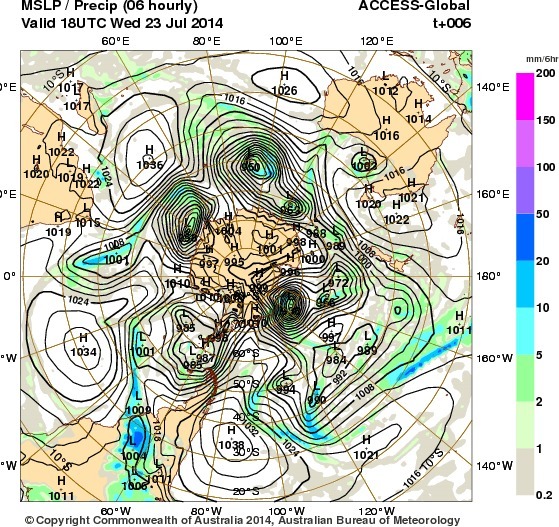 A large quake occurs when the rain goes directly to Antarctica in an almost due south direction. This stuff has skirted the outside of the ice all the way to Australia before getting lost in the matrix. That is crossing something like 120 degrees of longitude. 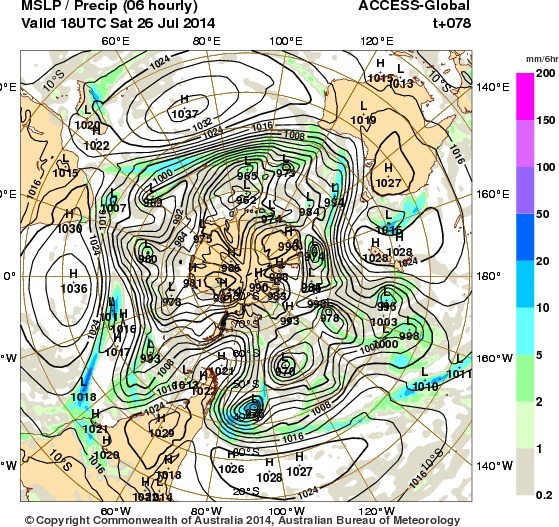 In the Great Australian Bight it bounces off the acoustics then flows onto the Ross Ice Shelf. But this is not about that stream nor that forecast. When a large quake gathers, three of those large dark masses have to hit the coast of Antarctica simultaneously. This almost happened in the first charts of this run. Which is about all that I wanted to show in this thread. I will leave the rest of these on here for you to see in more detail what was going on in the animation above. The problem with using this stuff to forecast earthquakes is the mind set of this generation. Having grown up as masters of the universe, the sheeple that advocate the subduction/obduction routines are stuck playing the hand they have been given by a previous generation that knew no better. Knowing no better they can’t think outside that box. But earthquakes are not subject to their hypotheses. Can you imagine how stupid they are going look to a future generation? Like we assume people from the dark ages to be: Simple minded dirty bigots. Were people really like that? People were not just people …that happened to live in the dark ages? Skinned and abused like lost sheep? Just like they are today if you pay any attention to the news. 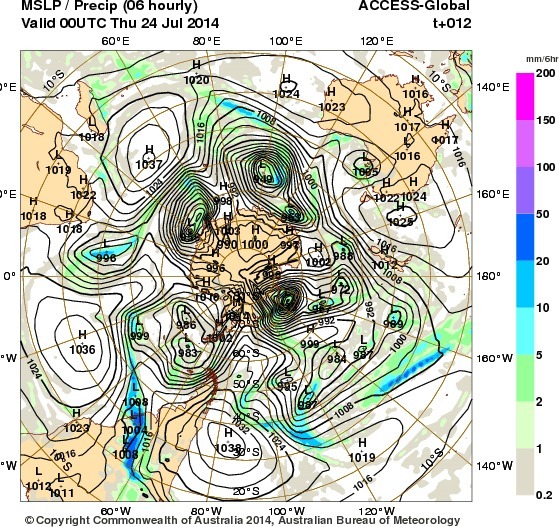 The signals for earthquakes on weather charts are quite plain. You should be looking for anomalies. 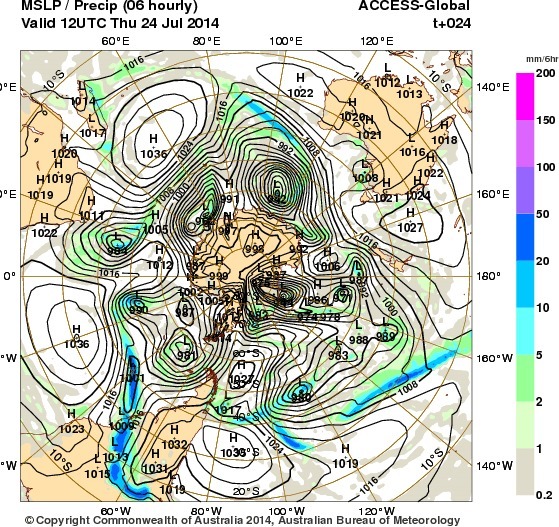 The one of interest is retrograde motion, especially of cyclones but anticyclones do it too but they are much rarer in northern waters, exponentially so for their anomalous retrograde sequences. The North Atlantic is very similar but there is an interesting time difference worthy of a thread on its own but since the signal we are looking for appears on neither, I am not going to post the Atlantic run here. 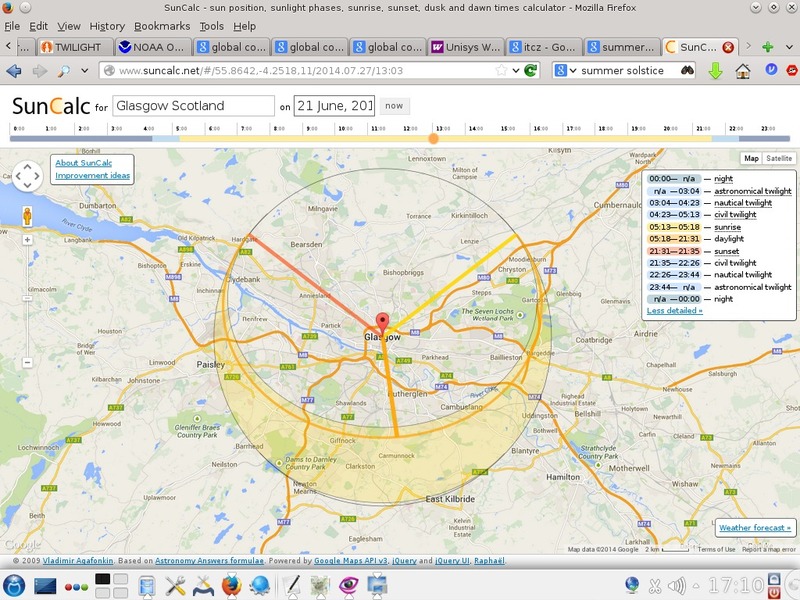 There is a signal for either a large earthquake or a spate of volcanic eruptions on the 28/29th. On the NA EFS charts phreatic eruptions that give a VEI warning of 1 or 2 (or more) are signalled with the exact same behaviour as large earthquakes, except that the signal goes on much longer. 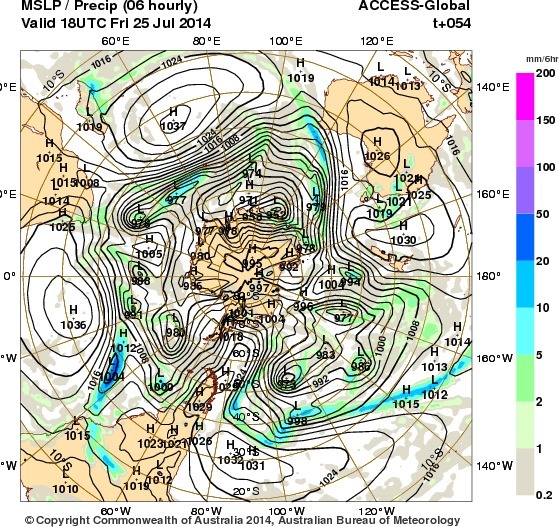 In this case the anomaly -such as it is, is a row of adjacent anticyclones in a line. They have to touch one another and for a flat out event, no quibbles, they have to be sharply defined systems. The one on the 28th is not one of them. A large earthquake only shows the signal for a day, large eruptions keep the signal going for quite some time. 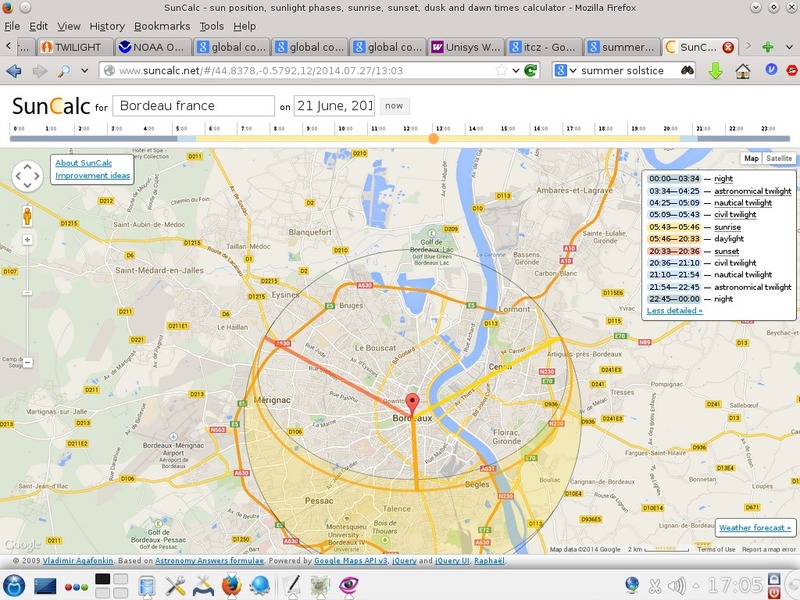 As you can see there is some sort signal visible on the following day. There was enough for me to say that a large quake was likely. Unfortunately the signal evaporated, disappeared into the air it was made of in all subsequent forecasts. So what was going on at the start of the spell in the above Australian charts? They are composed almost entirely from satellite data so there is no human rectifying them, removing all the butterflies. What you see is what you get, either as weather or as some other thaumagic event. Yet not only was there nothing all that large in the mix but it was virtually bereft of tornadoes and volcanism as well. As it happens, the third factor is the components for a large earthquake failed to hit the shore at the same time as the first two. And we did have some magnitude 6 ‘quakes. There had been a dearth of those for some time. By the way, they are also signalled in the NA EFS as a sequence of Highs and Lows in alignment. So at least you came away with something from your effort to stick with this thread to the bitter end. When a period of unusual weather occurs, one that brings reports of flood or fire, then when the spell breaks, there will be a large magnitude earthquake. One thing that inevitably happens with a quake is that the weather changes from hot to cold/dry to wet or visa versa. They are weather changers. In Britain just before a quake it gets hot. With a VEI of 1 or more it gets cold. For a 3 or 4 we might even get a flurry of snow in summer. YMMV.